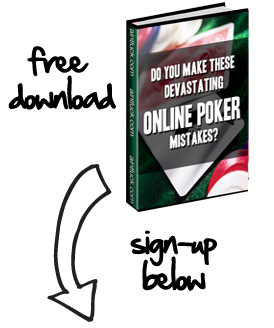 Devilfish Poker, an online poker room, is now making it possible for players to travel to and play in any poker tournament they dream of. Via DevilfishTravel.com, players can pick a tournament, then note how many Devilfish frequent player points they need to earn to make it to that tournament and by what deadline. By earning the required number of points by the deadline, poker players can achieve their dreams and go to poker tournaments that they never thought they would be able to attend, otherwise. Once a player has selected a tournament of choice, he can click “Book Now.” A little info is give on the tournament and two VIP point values are offered with a “Closing Date.” One value is the ticket to the event only, while a slightly higher point value will get you the travel package, as well. For example, the Aussie Millions 2009 Main Event will take place on January 18-22, 2009 at the Crown Casino in Melbourne, Australia. The buy-in for this event is $10,000 Australian Dollars, but anyone interested in going can book the trip now by playing at Devilfish online. Players who book this trip using the special Booking Reference code (just like a real airline!) will have until January 8, 2009 to accumulate 37,500 VIP Points, but that’s just to score the Main Event Ticket. If you want the package that includes all expenses, you’ll need 46,400 by January 8. If you desire to attend a tournament not supported by DevilfishTravel.com, then simply request that they add that tournament to their list of destinations, and they might just be able to accommodate you! You can even take part in these travel promotions and still benefit from sign up and reload bonuses!